Our leadership team has been working in the Oracle ecosystem for over 20 years. We have proven methods in our approach and delivery that are endorsed within Oracle Product Development leadership. With one of the longest standing tenures in the industry, our teams have a proven track record of successfully transforming and modernize our clients’ business operations. 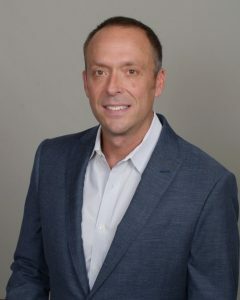 Jeff Curtis is a Managing Partner of NorthPoint Group. Jeff leads our operations and business strategy. A twenty-year veteran in the Oracle consulting space, Jeff is considered a thought-leader in Oracle Cloud. Prior to NorthPoint Group, Jeff ran day-to-day operations of KBACE Technologies, a Cognizant Company. He managed the organization’s strategy, commercial operations, and delivery accountability. Jeff has been at the forefront of Oracle application deployments and has reshaped how systems integrators can meet customer needs for accelerated and risk focused Cloud implementations and services. Today, his expertise focuses on providing comprehensive Oracle Cloud solutions to our customers. Under Jeff’s leadership, KBACE won Oracle’s prestigious “Partner of the Year” honors for work in Oracle Human Capital Management in 2013, 2014, 2015, and 2016. In 2016, KBACE was named Global Partner of the Year. Jeff regularly speaks at regional and national Oracle events. He was recently selected to serve as a Founding Member of Oracle’s Partner Advisory Board. Jeff, his wife, Anna, and sons Tyler, Benjamin, and Mason reside in Portland, Oregon. He is an avid sports fan, golfer, and travel enthusiast. He and Anna are active supporters of various philanthropic organizations including Boys and Girls Clubs of Portland and Achon Uganda Children’s Fund. 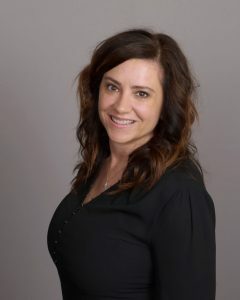 Stephanie Scholes joined NorthPoint Group in August 2018 as a Managing Partner. She brings with her over 20 years of consulting and practitioner experience. Stephanie leads our cloud services and operations, and is personally involved in the day-to-day delivery framework to ensure the success of our customers’ implementations. Stephanie is an expert on global strategy and design for Oracle HCM Cloud. She is widely considered by Oracle as a thought leader on Oracle HCM Cloud product knowledge, and an expert on SaaS Transformation. Stephanie recently ran the HCM practice at KBACE Technologies, a Cognizant Company, which at the time was one of the largest Oracle HCM Practices in the US. In that role, she led high-profile, complex Oracle Cloud programs and was instrumental in setting global design for companies across a wide variety of industries. Prior to KBACE, Stephanie ran a HR shared service center at a global golf management company. Her deep product understanding of Oracle Cloud combined with her years as a business practitioner enables her to successfully guide clients towards best practices that allow efficiency while utilizing HCM technology to its optimal capabilities. Maintaining a strong presence in Oracle’s public eye, Stephanie often speaks at conferences, as well as regional user groups. Stephanie lives in Phoenix, Arizona with her husband, Reid. She has a passion for animal rescue charities and enjoys traveling and hiking in her free time. 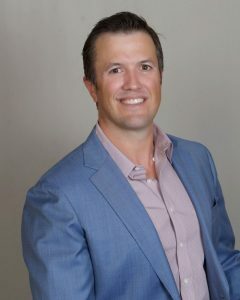 Casey Moyer is a founding partner of NorthPoint Group (formerly PEG Consulting). Since 2006, he has been managing our day-to-day operations including project delivery, employee development and company growth. Casey has over 20 years of Oracle experience, beginning his technology career at Barrick Goldstrike Mines, where he worked on the first ever Oracle HR and Payroll implementation. Prior to founding NorthPoint Group, he led the Technology Practice at KBACE Technologies. In this role, he managed Oracle implementations for global and domestic companies both private and public. Casey’s clients include companies from retail, technology, financial services, pharmaceutical, manufacturing, media, medical and education sectors. With his deep knowledge of the Oracle products and services, Casey is a proven solution architect. Understanding client needs and system integration, he has developed enhancements to improve efficiency and accuracy among client systems, working extensively with applicant tracking and onboarding systems. Casey is a regular presenter in Oracle’s annual conferences, and was on the OHUG “Meet the Expert” panel for ACA in 2015. Casey and his wife, Caitlin, call Boise, Idaho home. Casey in an outdoor enthusiast; he loves to alpine ski, mountain bike, golf and travel. In addition, he volunteers on the Board of Directors for the Tamarack Ski Resort in Donnelly, Idaho. Phil Chapman is a Managing Partner of NorthPoint Group, and was an initial founder since 2008. Phil’s primary responsibility is running our Benefits and Compensation Practice. He has been instrumental in developing our team of consultants and perfecting our implementation methodology and best practices. Phil has over 20 years of Oracle HCM experience. Prior to consulting, he worked for Oracle as a Product Manager with the Compensation Workbench and Oracle Advanced Benefits modules. He was responsible for the requirements, development design reviews and rollout of new functionality, bug fixes and enhancements. Phil is considered a subject matter expert in compensation and benefits. He has created Oracle University training material, Oracle University online viewlet recordings and user group presentations (OHUG and Oracle Open World). Additionally, Phil has taught over 25 formal training classes in various locations around the world. His unique combination of Oracle product knowledge and understanding of the full software development life cycle has been invaluable in the numerous global Cloud Workforce Compensation and Benefits implementations he has managed. Phil and his wife, Sarah, and their two children, Eva and Carter, enjoy spending time outside skiing and camping in beautiful Denver, Colorado, where they live. Erik Stewart joined NorthPoint Group in August 2018 as a Managing Principal running our commercial operations. 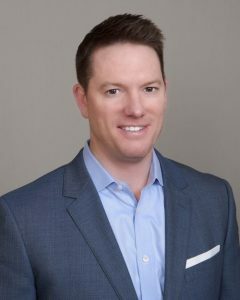 Erik has over 20 years of sales experience and is well recognized as a driven, innovative sales leader in the software industry. He is responsible for revenue generation and account management of our Cloud team. 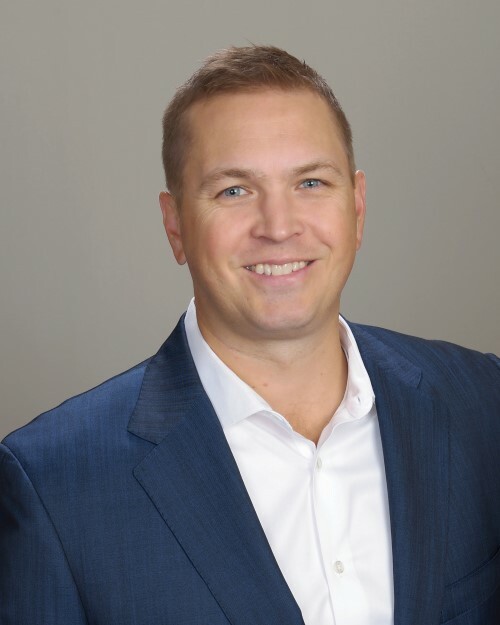 Prior to NorthPoint Group, Erik led national sales teams both at KBACE Technologies and Cognizant, and was a consistent top performer at Oracle, Taleo, and SuccessFactors. Erik’s effectiveness with customers is a direct result of his deep understanding of the Oracle solution. Our clients appreciate his articulate nature and ability to effectively communicate the complex value proposition of enterprise software and services while addressing customer needs. Erik has earned many awards in his career. In 2013 and 2014 he was named HCM Mid-Market ASM Top Performer & MVP from Oracle and received the Oracle Club Excellence Award in 2013. Erik and his wife, Christmas, live in Sonoma County, California. He is an avid traveler and loves to golf, fly fish, and coach Little League Baseball.